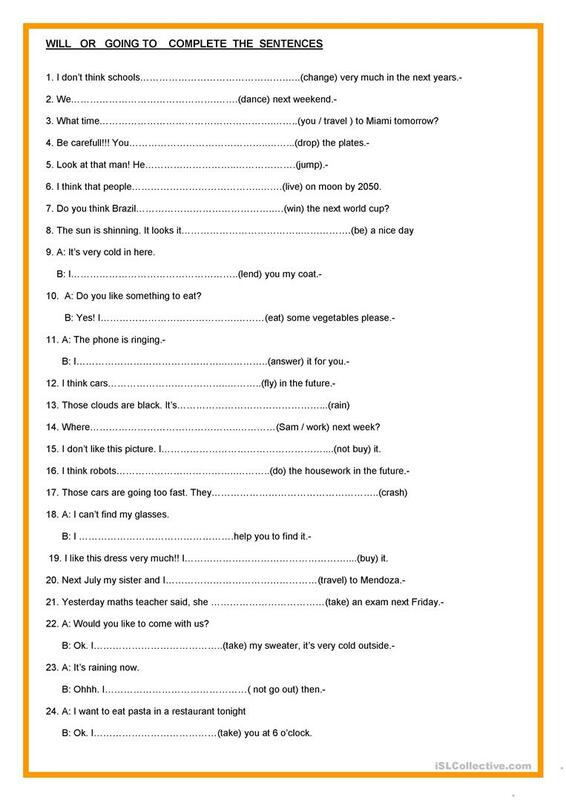 This worksheet is very useful, for learning which is the correct future tense you have to use in each sentence: " Will or Going to". I hope you like it so much! Good look !! The above downloadable printable is best suited for high school students and elementary school students at Pre-intermediate (A2) and Intermediate (B1) level. It is aimed at practising Future tenses in English, and can be used for honing your class' Writing skills.